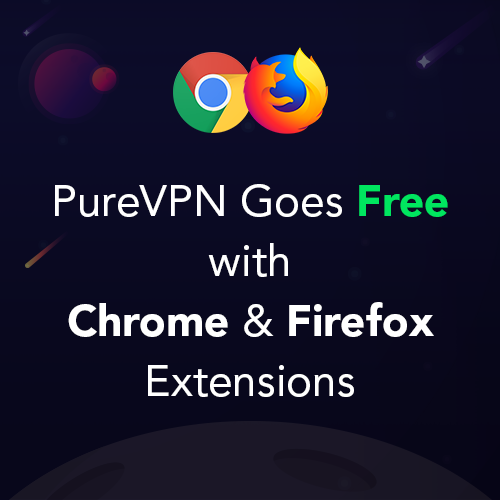 PureVPN Goes Free With Chrome & Firefox Extensions! PureVPN believes in complete internet freedom and is, therefore, releasing free versions of its Chrome and Firefox extensions. The freemium model comes equipped with data privacy features in a bid to secure internet users, while also allowing users to stream content at best speeds. HONG KONG, March 1, 2018	(Newswire.com) - In an effort to protect the online world from becoming the back alley of governments, corporations, and ISPs, PureVPN has placed the ultimate bet on spreading online freedom, at the cost of losing out on its revenues. 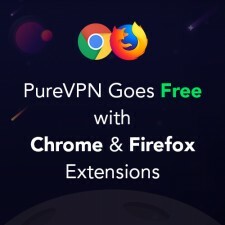 PureVPN has adopted the freemium model of business by making its Chrome and Firefox browser extensions free to use. Previously, the extensions were free to download only, and required users to have a paid account of PureVPN to use them. Internet users can now browse the internet with complete freedom and anonymity without needing to pay regular subscription fees to the company. The VPN brand already has apps for all major platforms, providing access to 750+ secure and private servers from around the world. The decision to make its Chrome and Firefox browser extensions free to use comes as a huge surprise since the company had already witnessed the massive success of the paid versions of these extensions. The Chrome extension is rated 4.4 on Google Chrome store, with 150,000+ downloads, while the Firefox extension has a 4.1 rating on Firefox’s store with 120,000+ downloads. “I love being able to watch TV shows, movies just love pure VPN,” said one user in his Chrome extension review, and “A low cost, easy to install and use VPN service. I have not noticed it slowing down page loads. It has servers in several countries to choose from” says another in his Firefox review. Not only do the PureVPN extensions for Chrome and Firefox give access to 40+ streaming channels to its premium users, they also help internet users stay protected and anonymous on the internet. The extensions are regularly applauded by users from across the globe for providing seamless access to popular streaming channels including Netflix US, Hulu, BBC iPlayer, and Sky Go Italy. The Chrome and Firefox extensions guarantee WebRTC Leak protection, as well as several other privacy and security features to anonymize online activities of internet users.